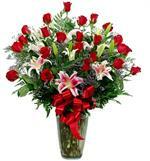 A very large arrangement of two dozen roses and lilies. Call to change color choice. 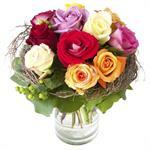 A bowl filled with colorful rose blooms - here we chose red! 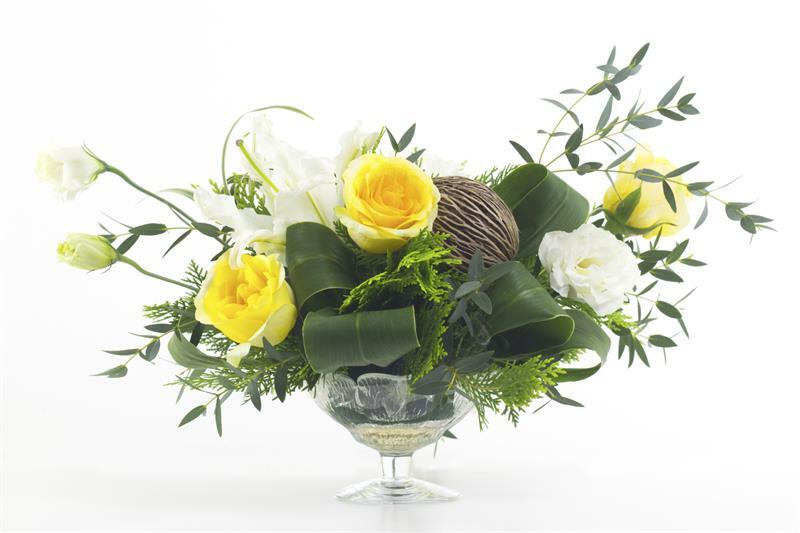 Natural and sweet. A classic! 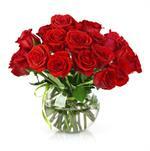 Loved and cherished by all who receive. 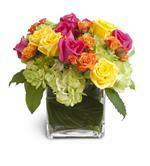 A variety of seasonally hued roses and hydrangea in a clear vase or cube. 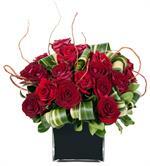 A modern spin on a red rose arrangement. 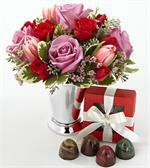 The classic dozen rose arrangement. Here red is shown, but please contact us with a color change!